Daniel R. Josselyn, 54, of Concord, NH, formerly of Orlando, FL, Tarpon Springs, FL, Manchester, NH, and Bedford, NH passed away March 13, 2019 at CRVNA Hospice House in Concord following a hard-fought battle with lung cancer. Dan was born in Lowell, MA April 22, 1964. He joined the US Marine Corps in 1988. He was an infantryman during Desert Storm with his unit assigned to Kuwait. He received several awards for his dedicated service including the Combat Action Ribbon, the National Defense Service Medal, and the Southwest Asia Service Medal with 2 stars. Once a Marine, always a Marine, and he was. Semper Fi. Dan was employed with the NH DOT as a toll booth attendant in Hooksett and was well-liked by many of the commuters who traveled through his booth. Dan lived a pretty simple life that he enjoyed very much. He also enjoyed playing in dart tournaments and going fresh and salt water fishing. Dan is survived by his two brothers, David R. Josselyn of Concord, NH and Richard L. Tourigny of Templeton, MA; four sisters, Michelle Tourigny of Framingham, MA, Lisa Sullivan of Gordon, GA, Bonnie Jolley of Bartow, FL, and Carlene Reisman of Manchester, NH; and several nieces, nephews, cousins, aunts, and uncles. He was predeceased by his father, Ralph B. Josselyn in 2017 and his mother, Pauline (Gendron) Preston in 2018. A graveside service with military honors will be held at 2:00pm Monday, March 18th at the New Hampshire State Veterans Cemetery. In lieu of flowers memorial contributions in support of the hospice house may be made to CRVNA The Slusser Center, 30 Pillsbury Street, Concord, NH, 03301. The Cremation Society of NH is assisting the family with arrangements. 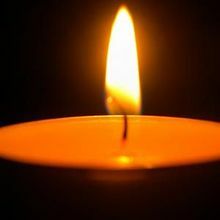 To view an online memorial, leave a message of condolence, or for more information please go to www.csnh.com.